Cristiano Ronaldo must miss all Portugal’s matches – Royal Times of Nigeria. Cristiano Ronaldo will not take part in Portugal’s next four internationals, the national coach Fernando Santos said today, refusing to give any reasons. The five-time Ballon d’Or winner missed the two internationals Portugal played in September. 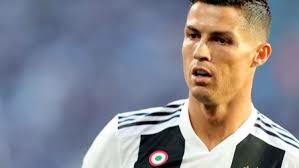 At the time, Santos suggested that the thirty three year old’s absence was temporary and intended to help the star attacker adapt after his move from Real Madrid to Juventus. The UK drums international support for president Buhari’s re-election.